After a long wait, Cardi B has finally announced an official release date for her debut album, and its sooner than you think. Bartier Cardi is releasing her “Invasion of Privacy” album on April 6. She took to Instagram to make the announcement that most likely has fans raving and breathing a sigh of relief that the day has finally come. 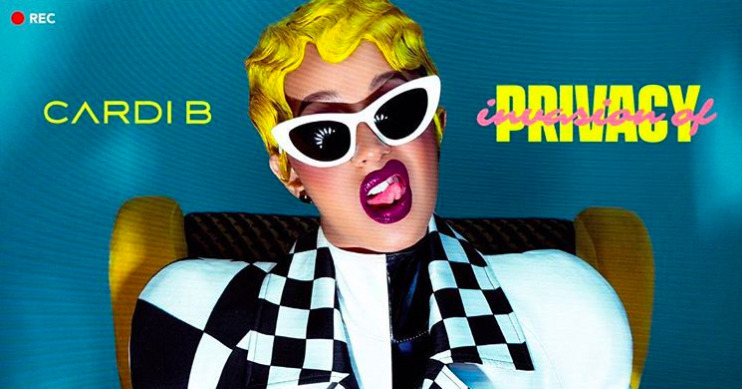 Cardi first announced that her album was on the way after her big win at the iHeartRadio awards last month where she won for Best New Artist and Best Hip-Hop Artist. The stripper turned rapper said that her album would be out in April but did not provide an exact date leaving eager fans skeptical. Since the release of “Bodak Yellow,” Cardi has been the most talked about rapper in the game. She took Taylor Swift out of the number one spot with the now 5x platinum hit song and was nominated for two Grammy Awards, neither of which she took home. The album tracklist has not been released, but the follow up to “Bodak Yellow” was the 21 Savage assisted track, “Bartier Cardi” which recently earned the Bronx rapper a Gold Plaque to add to her ever expanding resume. Cardi seemed to be growingly frustrated with the process of making this album constantly posting exhausted videos from the studio on her Instagram story and seeming (at times) less outgoing in interviews. In a recent interview with Cosmopolitan, Cardi said that she feels “exhausted” and also mentions that she felt her “spirit was happier” before her rap career took off. Still, Cardi pushed through and is ready for her Atlantic Records debut. The Grammy nominated rapper is scheduled to perform at Coachella next month which she give her new album some stronger legs and is also scheduled to tour with her “Finesse” collaborator and fellow Atlantic Records artist, Bruno Mars, this summer for the 24k magic tour.